Seventeen truly is a remarkable year for anybody’s life. At this point, you are at the doorstep of adulthood, gazing at the other side. You are one year off from being able to conquer the world. Yet, it seems like the age of 17 is not as special as adulthood. It seems that, even though being an adult is special, people do not consider the last year of childhood equally special. I’m here to tell you otherwise. It is the last year of your absolute freedom, without worries, without taxes, without adult problems. And this is why this year is so special. Thus, in order for you to make that little 17-year-old, that is hurrying to grow up, feel the same, you need to make him/her know that this year is as special as that child. And what a better way to do it, that on the very first day of its life as a 17-year-old. 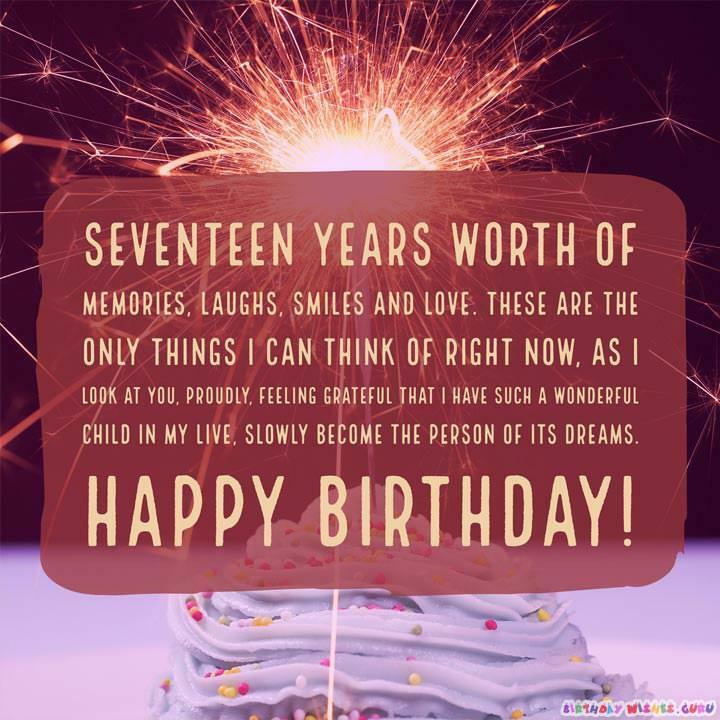 So, here are the best wishes for someone’s 17th birthday on the internet! As you stand here, in your last year of absolute freedom. I’d like to wish you the happiest of birthdays, and for you to enjoy life as much as you can! On this very day, 17 years ago, you made us the happiest people in the world, and that feeling of happiness has only become bigger every day you spend into our lives. You are the best thing we could have hoped for. Happy birthday! For the past 17 years, you have shown us why it is a blessing to be parents. You are the best thing that has happened to our lives, and for that, I thank you. Happy birthday! It is rare to see a person, that even though is only barely 17 years old, has the maturity of a thousand adults. You truly are a remarkable person. Happy birthday! On this very day, 17 years ago, the world became very lucky, to have you walk among them. And now, you still continue making everyone feel lucky when you are around them. Happy birthday! As you stand at the doorstep separating childhood with adulthood, I want you to remember to always be yourself, because it is your amazing personality that has made everyone believe you are an amazing person. Happy birthday! You have made everyone’s lives better, just by being around us. You truly are a remarkable person, and you always have been, for the past 17 years. Keep on being amazing, and happy birthday! Having you running around the house for the past 17 years, has definitely been as tiring, as it has been amazing. The only thing that is certain, is that there has not been a second after you were born, that I have not been loving you. Happy birthday! Usually, on this day, people tend to give advice. But, you are old enough to understand on your own what is right and what is wrong. Thus, the only advice I’m going to give you is to always be yourself, because it’s what has made you awesome these past 17 years. Happy birthday! The second you entered this world, you immediately made it a better place. Thus, the entire world thanks you for the best 17 years of its lifetime. Happy birthday! 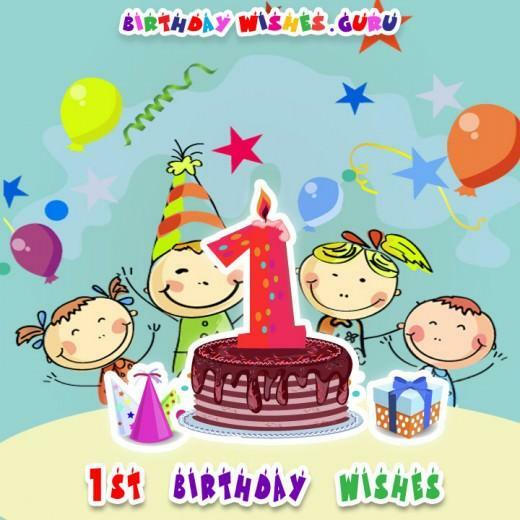 There is one moment I can never forget, and it is this very day, 17 years ago, when I first greeted you, and welcomed you to our world. The thing is, that ever since that day, you have kept making this world a better place. And for that, I , on behalf of the rest of the world, thank you, and wish you the happiest of birthdays! To be completely honest with you, a lot has changed from the time I was 17 years old. Things are definitely a lot easier. That does not make all your astonishing accomplishments any less noteworthy. I hope you keep on being this amazing for as long as you breathe. Happy birthday! I know that adulthood seems like a really cool deal, but you should not be in a hurry to grow up. Try to enjoy the little time you have left as a child, because the only certain thing, is that you will miss these years more, the older you get. Happy birthday! Seventeen years worth of memories, laughs, smiles and love. These are the only things I can think of right now, as I look at you, proudly, feeling grateful that I have such a wonderful child in my live, slowly become the person of its dreams. Happy birthday! Looking at you, while only being 17, you have accomplished more than a lot of adults. So, don’t rush to grow up, you are amazing as you are. Happy birthday! No matter what you decide to do in your life as an adult a year from now, you should try to enjoy every single day leading up to that point, because it is the days of our childhood that we keep missing as we grow up. Happy birthday! You have now entered a year, that would make a lot of people envious. You are at the very last year of childhood, right before becoming an adult. It is the year when you get to enjoy the best of both worlds. So please, try to enjoy it as much as possible. Happy birthday! These are the very years that will take up most of your stories as an adult. So, my wish to you, is that you enjoy them to the fullest. 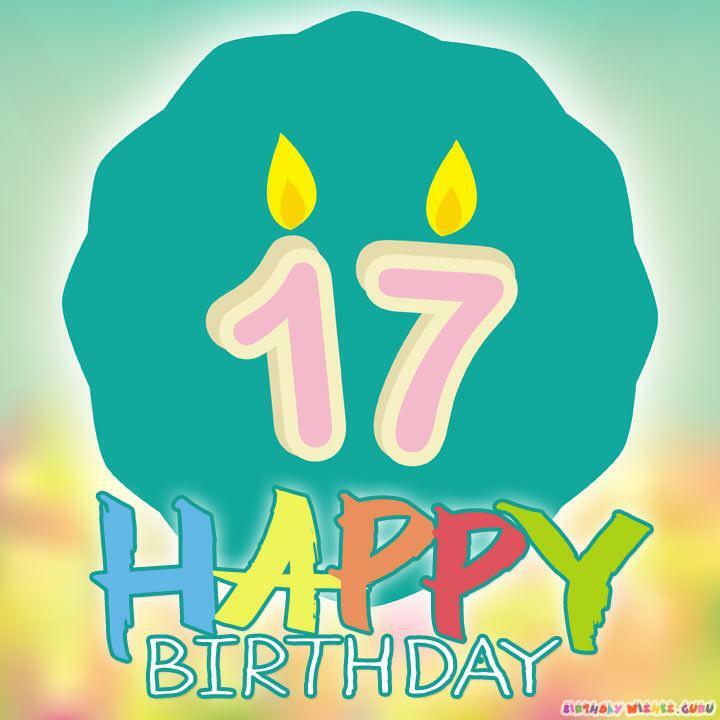 Happy seventeenth birthday! There is truly no way to measure how much I love you. For the past 17 years you have proved me how amazing it is to be a parent. And for that, I thank you, and happy birthday! As you approach a turning point in your life, called adulthood. I want you to know, that for every benefit you gain, there is also a hindrance. You will face more hardships than you thought possible, and that I guarantee it. But, do not give up, no matter the hardship, I’m sure you can push through it, because you are special. Happy birthday! Your teenage years, can either be described as the best or the worst years of your life. The only one that can decide that, is you. And you will find out soon enough, once you’ve entered adulthood next year! Happy birthday! You have now reached a point in your life, where you are not a child anymore, but you are not an adult as well. You are this amazing little thing, that gets the best of both worlds. Happy birthday! There hasn’t been a day that has gone by these past 17 years, that I have not prayed for your safety. You are the best thing that has happened to me. I love you, happy birthday! They say, each day is a brand new adventure. 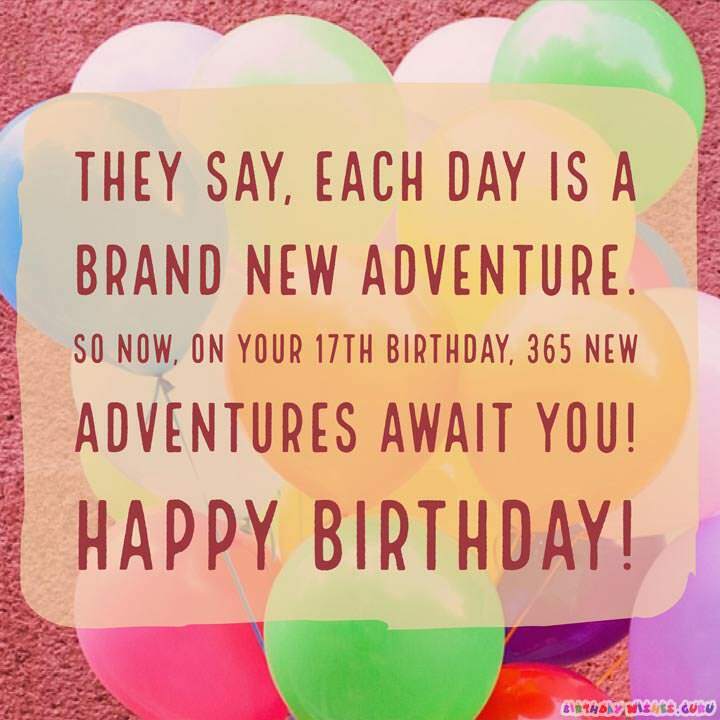 So now, on your 17th birthday, 365 new adventures await you! Happy birthday! I’ve waited 364 days for this day to come! It is finally the day you turn 17! I cannot express how proud I’m feeling. May all of your wishes come true. Happy birthday!